During the second half of the Twentieth Century, the ideas of leading anarchist thinkers such as Proudhon, Bakunin, and Kropotkin seemed destined to fade into history. But today they are finding new energy and power. Libertarian flags wave above the crowds at anti-globalization and anti-corporation rallies. Anarchist axioms appear in contemporary debates on neoliberalism and ecology. Websites passing on anarchism�s radical principles proliferate in cyberspace. Popular intellectuals like Michel Foucault, Gilles Deleuze, Osvaldo Bayer, Noam Chomsky and Murray Boochkin acknowledge in their work the debt they owe to the towering nonconformist figures who preceded them. The anarchists� fight against power, oppression and the State, which reached its pinnacle with the farmers� collectives of pre-Franco Spain, has influenced societies around the world. Vanguard artistic movements high and low, from dada to punk, were inspired by anarchism. 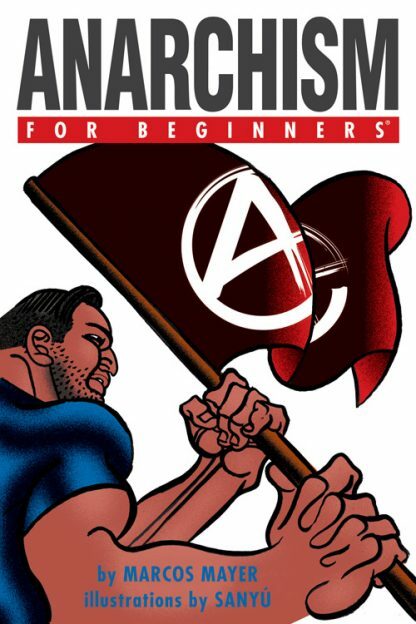 In Anarchism For Beginners, Marcos Mayer aided by illustrations from the incomparable Sany�, takes readers on a journey through the anarchist movement, explaining its principles and documenting its influence, inspiring figures and indefatigable fighting spirit. Marcos Mayer is a journalist, professor and writer. He is the author of, among others, Remendios del Para�so, (which won the Antorcha Prize), The Essential Writings of Che Guevara, Ahora el Humor (interviews with Argentinian comedians), and a critical text analyzing Ernesto Sabato�s Sobre Heroes Y Tumbas. He has written for a variety of print publications, and edited several anthologies. He teaches journalism at the Centro Universitario Devoto, a Buenos Aires prison university where he also runs a newspaper with the inmates. Sany� is the pseudonym of Hector Alberto Sanguililano, an illustrator and cartoonist who has been published in the principal newspapers of Argentina since 1974. He has adapted literature to illustrated works, taught courses, been a judge of illustrations and comics, and organized two gallery shows of Argentinian comics and the history of comics. He is the author of 100 Years of Comics in the World.